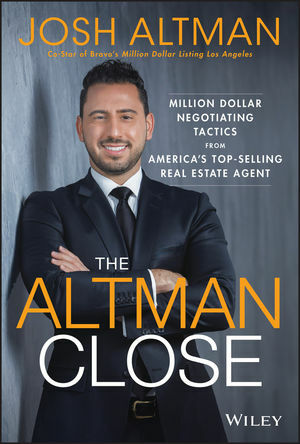 After selling over $3 Billion in real estate, including the most expensive one-bedroom house in history, Josh Altman, co-star of the hit show Million-Dollar Listing Los Angeles, wants to teach you the real estate sales and negotiation tactics that have made him one of America’s top agents. Buying or selling a house, whether for a client or yourself, is one of the most important (and most stressful) deals anyone can make, demanding emotional intelligence and a solid set of negotiating skills. But by mastering the same techniques that sell multi-million-dollar homes in Bel Air and Beverly Hills, you can attract buyers and close deals on any property.